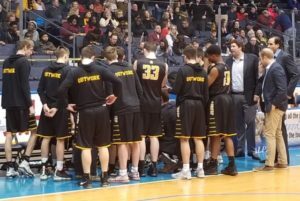 ROCHESTER, N.Y. – McQuaid rallied for a late surge at the end of the fourth quarter to hold off Gates-Chili, 82-75, in the semifinals of the Section V Class AA playoffs. Trailing 66-64 with 3:44 remaining in the game, the McQuaid Jesuit Knights went on a 13-4 run to take a 77-70 lead with 34.9 seconds left. Junior guard Kobe Long led the charge with six points on a layup and 4-of-4 shooting from the free throw line. Jermaine Taggart made a layup and a foul shot. Senior guard Jon Catone hit a floater and Connor Zamiara knocked down a pair from the charity stripe. “Our help defense was great,” Taggart explained. During the run, the Knights held the Gates-Chili Spartans to three missed field goals and two turnovers in seven possessions. Taggart netted 17 in the first half as the Knights held a 37-33 lead going into the locker room. For the night, the junior forward had a team-high 26 points. Taggart grabbed five rebounds, blocked two shots and swiped a steal as well. Long poured in 18 of his 25 points in the second half, including 8-of-9 from the foul line. The junior guard finished 11-of-12 at the free throw line, pulled down seven rebounds, handed out a pair of assists and had two steals. Senior forward Harry Bruu contributed eight points and hauled in a team-high 10 rebounds. For Gates-Chili, Keith Slack amassed 29 of his game-high 47 points in the second half. The senior guard scored the Spartans’ last 16 points of the third quarter. Slack collected three rebounds, an assist and a steal as well. McQuaid will play UPrep in the final on Saturday at 9:00 PM at the Blue Cross Arena. The Knights defeated the UPrep Griffins, 70-54, to win the class AA sectional championship last year. out–McQuaid-None, Gates-Chili-Andrew Newcombe; Devin Walton. 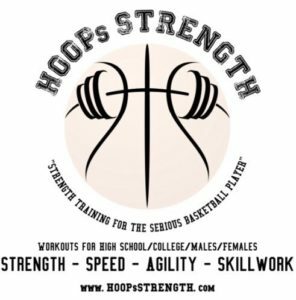 Rebounds–McQuaid 37 (Harry Bruu 10), Gates-Chili 14 (Devin Walton 4). Assists–McQuaid 14 (Michael Maloney 4), Gates-Chili 10 (Adam Williams 3).